1.3. Covers a diverse range of individuals interested in entrepreneurship across a variety of industries. 2.1.1. Posts scheduled for the most engaging days and times across all of instagram. 2.2.1. Balanced Approach = 3 post through the week at times our followers are most engaged. 2.3.1. A/B test every day of the week across a variety of suggested times and create posting strategy based off the collected data. 2.4. *NOTE: We can scale up the number of post/options after we have formulated a solid foundation. 3.4. *NOTE:Pick one option to focus on and create content geared toward the chose KPI goal set. 4. Content Collection & Approval. 4.1.1. Generate a detailed list of any "features" and send it off to go through the approval process. Once approved in full move on to step 2. If not approved in full iterate until it is by repeating this step. 4.3.1. Schedule all created content in week 3 of said month. 4.4.1. Use last week of said month to restart the process associated with step one. 4.5. *NOTE: 1 month weekly breakdown. WK1= Create content designs, templates and feature list then submit for approval. WK2 = Create all content. WK3 = Schedule all content. WK4 = Deal with any issues or move on to creating for the next month. Always be at least 1 if not 2 months ahead. 5.1. Use competition visuals with ASU branding to make people aware of any and all entrepreneur related competitions. 5.2.1.2. Collect first at demo day then bi weekly through E+I sponsored social media competition. 5.2.1.3. Information for feature both on social and the blog is collected by forms filled out by the ventures . We email them the form or they do it willingly because of the competition. 5.3.2. Visual Content = Beautiful eye catching icon that represents the program...maybe even animated icon that moves. 5.4.1.1. Use visuals to represent the most important parts of the lessons taught in the ASU entrepreneurship videos. Is also evergreen content...many posts could be reused after a year. 5.4.2. Visual content = photo album with 5 or more post that address key point from ASU ENT vids. 5.5.2. 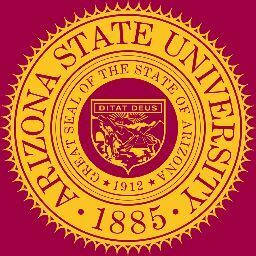 Visual Content = single post with competition visuals and detail formatted to asu brand. 5.6.1. Any events or other promotions.